Welcome to Alan Jansson’s Acupuncture Clinic in Brisbane. 32 years clin­ical exper­i­ence, spe­cial­iz­ing in Gentle Japanese Acupuncture for adults and children. 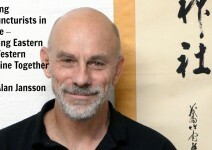 Alan Jansson is an internationally recognized teacher and practitioner of Japanese Acupuncture in Brisbane. In clinical practice for over 30 years, he is driven by a strong desire to use gentle Japanese Acupuncture to benefit all who seek his assistance. Learn more about Alan here. 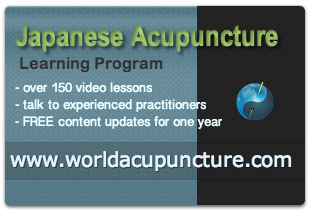 A gentle approach such as Japanese Acupuncture is needed for the treatment of babies, infants and young children. Alan’s sensitive and humorous manner engages infants and children and enables them to gain maximum benefit from their acupuncture treatment. 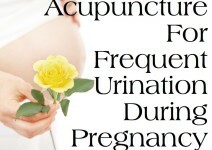 Japanese Acupuncture as a gentle form of treatment is very suitable for women’s health issues such as infertility and related IVF treatment, problems with pregnancy, natural birth assistance, menstrual pain and overall pre- and post-natal care. Alan has treated many appreciative women over more than 20 years who have gained real and lasting benefits from his acupuncture treatments for women’s health issues. 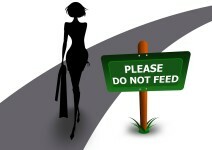 Stress and anxiety have become very prevalent in this era of fast-paced living and environmental overload. Alan’s acupuncture treatment for stress and anxiety helps patients to restore balance to their bodies and their daily lives. The gentle and calming effect of Japanese acupuncture has incredible restorative power that enables patients to overcome the debilitating effects of stress and anxiety such as digestion problems, insomnia, disturbed sleep or tightness in the neck, shoulders or back. Alan works with both elite sports people and anyone else who suffers sports injuries. Many people have sought acupuncture treatment from Alan for sporting injuries such as tennis elbow, frozen shoulder, broken arms/legs, golfer’s elbow or ankle sprains. Many elite sports people, from a wide range of sports such as tennis, football, rowing, triathalon, skiing and swimming, have received acupuncture from Alan to enhance their sports performance. One of the great benefits of Japanese Acupuncture is its ability to strengthen a person’s immune system and speed up the natural healing processes of the body. Alan has used this inherent power of acupuncture to treat chronic fatigue particularly in adolescents and elite athletes. Alan’s acupuncture treatments have also proven effective for immune deficiencies such as colds and flu, pneumonia, asthma and post-viral syndrome. Acupuncture for degenerative eye disease is an emerging field practised by very few acupuncturists around the world. Alan has been trained by the world leader in this field, Dr. Andy Rosenfarb of New Jersey, to use Micro Acupuncture to treat degenerative eye diseases such as macular degeneration and glaucoma, as well as other unhealthy eye conditions. Alan is very aware of the debilitating effects of lower back pain and the frustration of headaches and migraines. Through his extensive knowledge of Japanese Acupuncture, he is able to progressively relieve the pain and enable patients to become fully functioning again. Patients, too, who have suffered from knee and joint pain or neck and shoulder pain have benefited from the capacity of Japanese Acupuncture to reduce inflammation and restore healthy functioning. Want more? 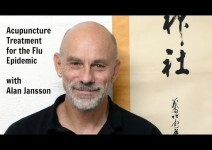 See a list of all acupuncture videos with Alan Jansson! Appointments: Call 07 3891 2000Today!